anthony recently entered the "openthinkbox first fix" design competition. 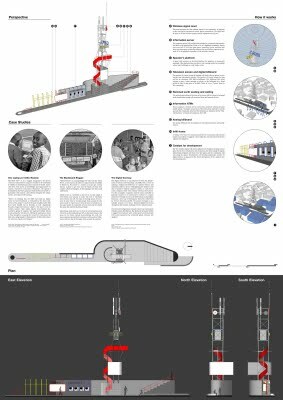 the competition brief asked entrants to identify a social or societal need, or a problem or desire that is a first priority in terms of social service delivery and design a 'first fix' infrastructural intervention that responded to the identified needs, problem or desire. 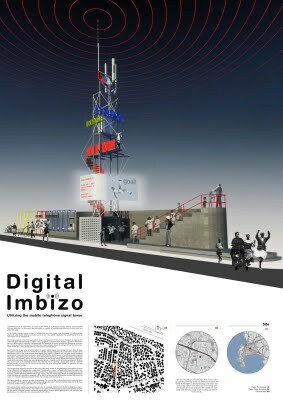 the entry re-imagined the mobile telephone broadcast tower as a "digital imbizo" - a device and place for sharing of digital and analog information.